We’re excited to announce support for two more Amazon RDS database engines in the AWS Toolkit for Eclipse. You can now configure connections to PostgreSQL and Microsoft SQL Server RDS database instances directly from within Eclipse by opening the AWS Explorer view and double-clicking on your RDS database instance. 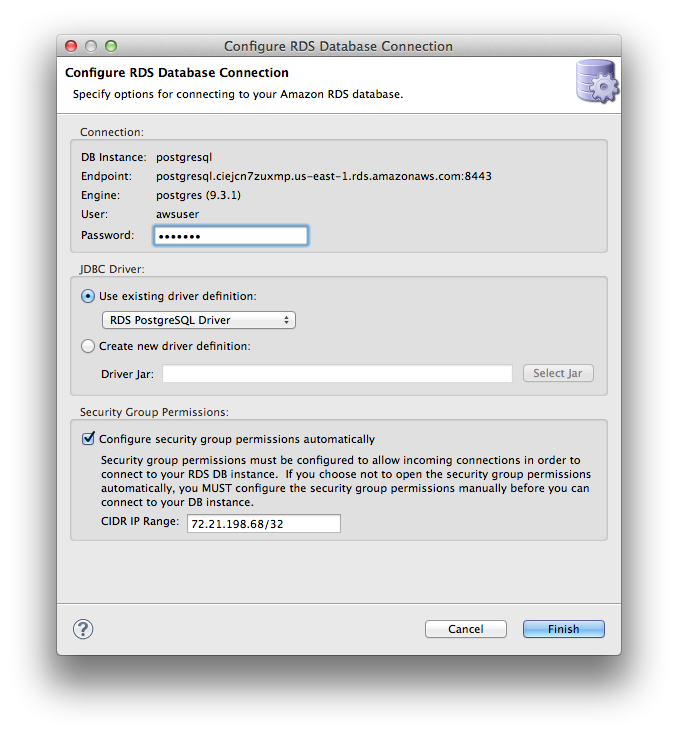 The first time you select your RDS database instance, you’ll be asked for some basic information about connecting to your database instance, such as: password, JDBC driver, and whether you want Eclipse to automatically open permissions in your security group to allow database connections. 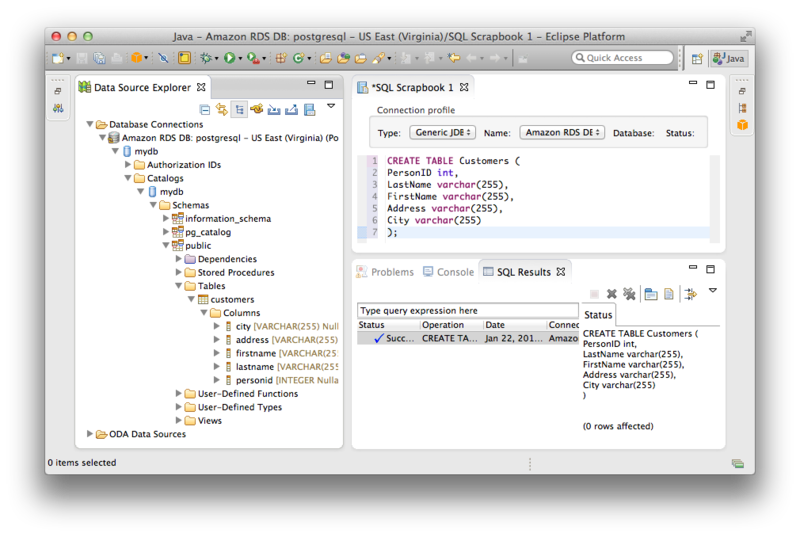 Once you’ve configured a connection to your database, you can use all the tools from the Eclipse Data Tools Platform. You can browse your schemas, export data, run queries in SQL Scrapbook, and more. If you don’t have any Amazon RDS database instances yet, you can go to the Amazon RDS console and launch a new database instance. With just a few clicks, you can launch a fully managed MySQL, Oracle, PostgreSQL, or Microsoft SQL Server database. 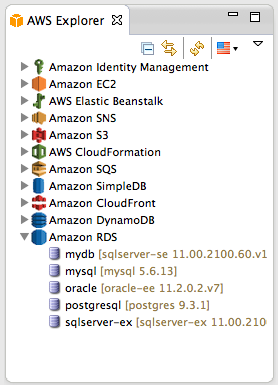 Are you using any of the database tools in Eclipse to work with your RDS databases?